Vivid color make them lovely to stay with----------order before Nov20th to get delivery before Thanks Giving still possible for most of items, order asap to get confirmed early December delivery! 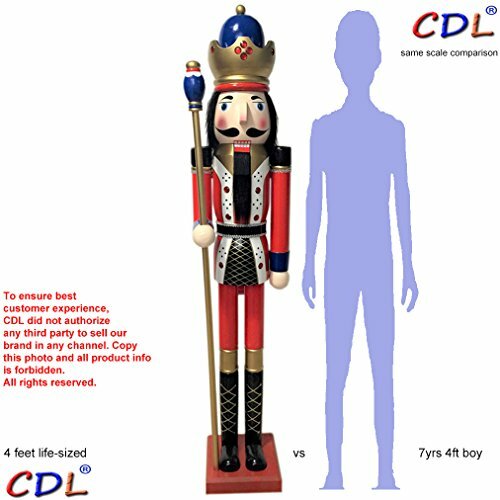 Made of top quality wood material stand at life size----Click seller"CLICK DONE LLC"'s profile for more delivery and FAQ/HELP details about the product information. These Grand Nutcrackers are 6-ft tall. A dazzling Christmas display with their 23-LED lights. Each is ready to greet your guests dressed in his finest Golden uniforms.